“Headlong Flight,” the first single from Rush’s forthcoming album, “Clockwork Angels,” has surfaced online. The song officially goes to rock radio on Thursday, but Rolling Stone are streaming the tune here. The link is helpful in case the youtube video below gets shut down. 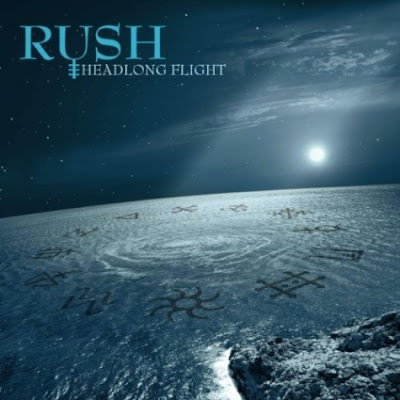 "'Headlong Flight' was one of those songs that was a joy to write and record from beginning to end," bassist Geddy Lee tells Rolling Stone. "Alex [Lifeson] and I had blast jamming in my home studio one day before the second leg of the Time Machine tour, and I did not revisit that jam until a year later. Alex and I assembled the song to be an instrumental and its original title was 'Take That Lampshade Off Yo Head! ', but once we saw the lyrics Neil [Peart] had written, I knew that the spirit of the lyrics matched the instrumental perfectly and it was just a matter of making them fit and writing the melodies." The full album – Rush’s first collection of original material in over five years – is due June 12. Details of a full-scale North American tour to support the project will be announced shortly.